Recessed installation in false ceilings with 1 to 30 mm. Made with recyclable materials: aluminium and steel. Available in the single square and rectangular versions with 2 and 3 compartments and perimeter rim. 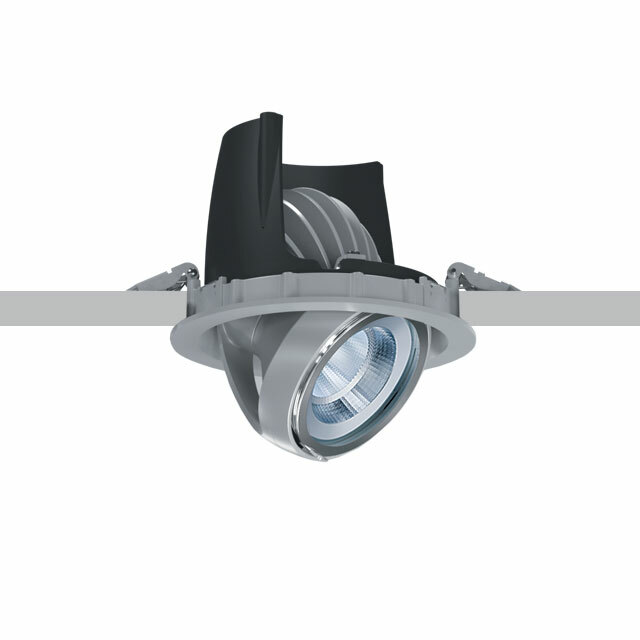 Versions with one optical assembly with 45° internal and 75° external adjustability, 355° rotation around vertical axis. 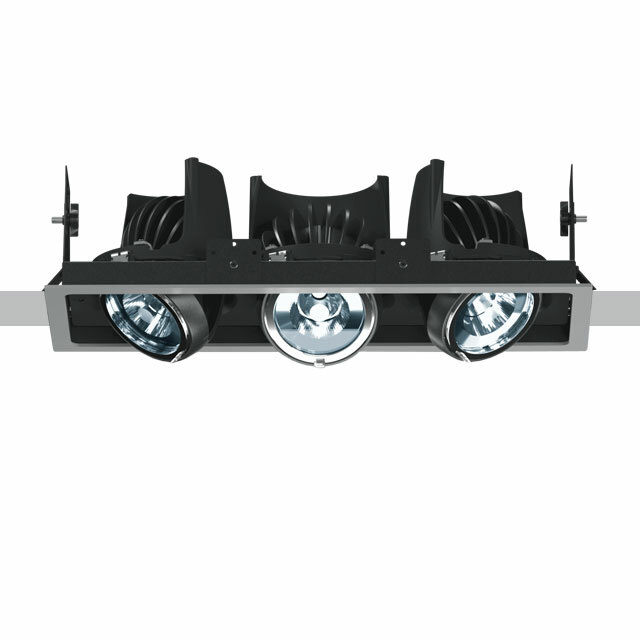 LED versions with warm and neutral monochromatic white emission; available with passive dissipation with lamellar radiator or active with cooling fan.